A spot zapper formulated with Salicylic Acid, which helps to calm inflammation and treat pimples. It also contains botanical extract (Hinoki Cypress) that reportedly inhibits the growth of acne-causing bacteria. What's more, it is in clear, liquid form which absorbs into the skin quickly, making it perfect to use under makeup! This is part of my everyday skin care routine~! Another part of my every day skin care routine~ This spot zapper has a similar formula as the Liquid Spot — Formulated with Salicylic Acid which helps to calm inflammation and treat pimples. It also contains botanical extract (Hinoki Cypress) that reportedly inhibits the growth of acne-causing bacteria. The only difference is it has pink powder that contains sulfur — an antibiotic, and it will leave some pink powder residue on your skin after application. The pink powder helps to soothe and alleviate swelling skin to minimize damage. This is actually more powerful in treating pimples than the Liquid Spot but unfortunately, it is designed to use at night. Note: A cotton swab is required to extract the pink powder for application. Formulated with active acne ingredient, Benzoyl Peroxide, that unblocks pores with a mild peeling effect and clears pimples within 48 hours. With it's unique Acrylates Copolymer (AC) Technology, it absorbs sebum and releases glycerin to help hydrate skin. 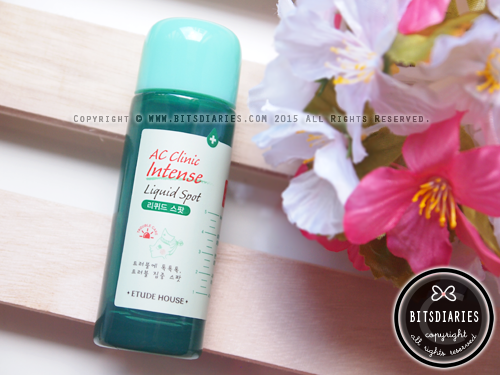 Ideal to use on inflamed pimples! 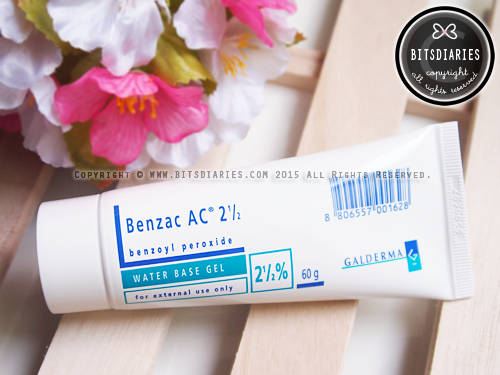 Benzac AC Gel is also available in stronger concentration of 5% and 10%. 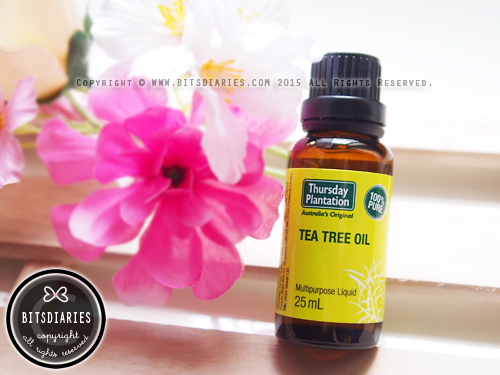 Tea Tree Oil is a natural, powerful antibacterial ingredient that zaps a broad spectrum of bacteria. It penetrates into the skin and dries out all kinds of pimples quickly. On the drawback, it may be harsh; people with sensitive skin have to watch-out because this may cause an allergic reaction. This spot essence is enriched with torreya seed oil and green calamine ingredients which help to rapidly calm down breakouts. It is a skin care product but it has a green undertone which kind of helps to neutralize redness. So sometimes I use it on my pimples as a color corrector prior to makeup application. 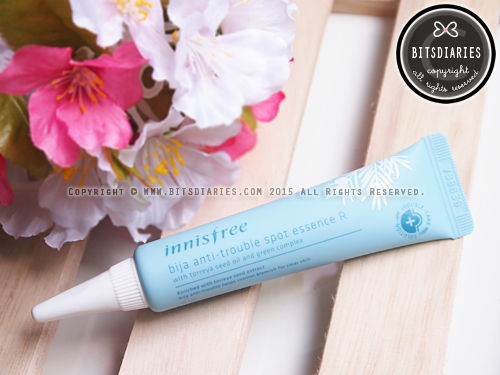 *P.S: Innisfree has discontinued both the Essence W and Essence R. But recently, they released a new product with an improved formula called Bija Anti-Trouble Spot Essence (without W or R) and it doesn't have the green undertone. These patches act as a barrier over the acne to reduce hand contact and infection. Best part? It helps to absorb oil and all the pus embedded in the pimple, thereby reducing the damage done to your skin because you don't have to pop and squeeze it with your fingers! Ideal for inflamed, pus-filled pimples. With these patches, you will be able to bid your zits a speedier farewell. 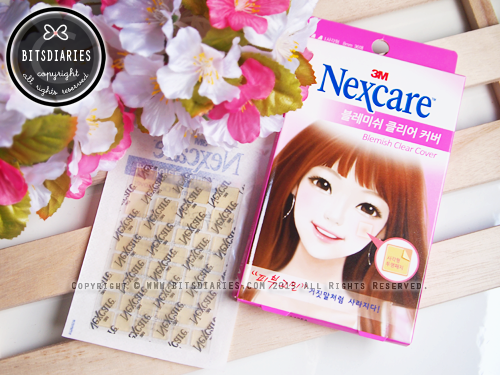 Nexcare Acne Patch is available mostly in circular shape, which gives the same effect as the square shape, but I prefer the square ones as I find it covers the zit and adhere to the skin better. So these are the FIVE (or six?) 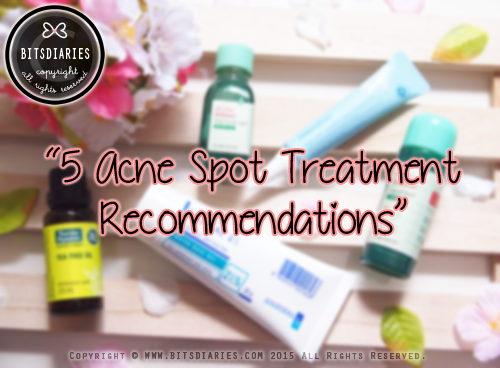 acne spot treatments I recommend to try. I hope you find it helpful. If you are looking for a product that treats post acne marks and scars, check out my "4 Acne Mark & Scar Treatment Recommendations". Hi which is the fastest pimple zapper for sensitive combination oily skin? 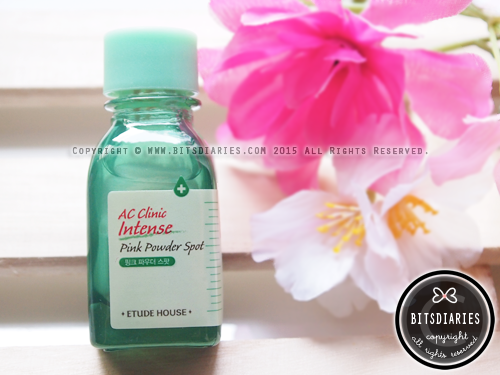 In my opinion, Etude House AC Clinic Pink Powder Spot and Benzac AC Gel 2.5% are the fastest ones. Thanks. Will try to get them. Is the pink powder spot difficult to wash off? I tried it and find it requires longer time to wash off compare to a clay mask.